I confess...I've had a pitiful, woeful website for way too many years. I always intended to revive it out of its incomplete, neglected, and moribund state. But somehow, my intentions never got moved from back burner to front. So what kicked me into action? 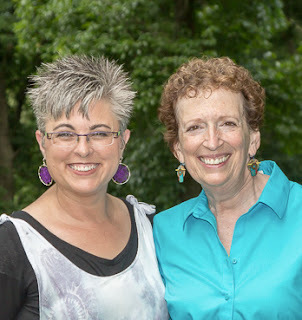 It all began last spring with a message asking whether I'd be interested in taping a segment for "The Quilt Show," a podcast hosted by Ricky Tims and Alex Anderson. I had some lovely telephone chats with Shelly Heesacker, a fascinating and fun woman who's the producer of the show. And in July, I found myself discussing my photomosaic quilts and taping a segment for the show on the patio of the Governor's Residence in the mountains of North Carolina. As I prepared for taping, the awful thought occurred: what if folks wanted to google me after the segment aired? Holy cow, there I'd be, with my pitiful, woeful website. That definitely lit a fire under me. Fiber artist and award-winning teacher, Lyric Kinard is there sharing some of her extraordinary pieces and providing tips for working with foil on fabric. 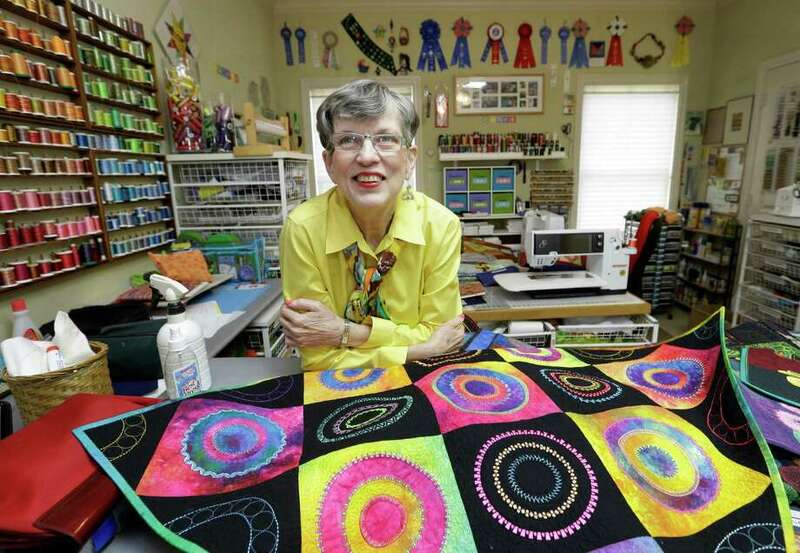 Plus the show starts out with a visit to Libby Lehman - a much loved internationally renowned quilt artist, author, and teacher - who shows her spirit as she continues to recover from a devastating brain aneurysm and stroke. Next week I'll post about the "excellent adventure" of taping and I'll also have a link that will allow anyone to view the program free of charge from November 15th through the 22nd. But as for today...it's now official. After hours and hours and hours and hours of work (especially from my tech-guru husband Joal Fischer). I actually have a new website! BTW: I insisted that Joal give himself credit for doing so much to make the site a reality...and he did. Those who know Joal's quirky sense of humor won't be surprised by what appears on the credit line of the home page: Created by Good Looking Spouse Productions.